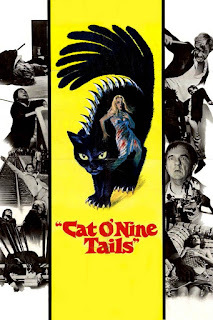 Another Argento classic, The Cat o' Nine Tails leans more towards giallo mystery thriller rather than horror, but there are some horrific moments in the film for sure. Seeing as this came one year after Bird With the Crystal Plumage, a more straight up mystery film with a few kills makes a lot of sense. That's what he was producing at around this time period. 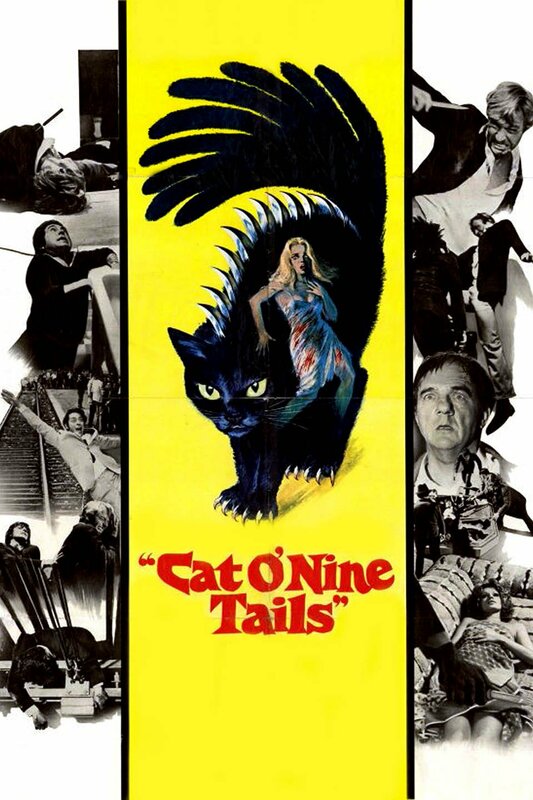 Four Flies on Grey Velvet came out in the same year as The Cat o' Nine Tails. This is what people refer to as the ANIMAL TRILOGY - far more successful a trilogy than the THREE MOTHERS trilogy, sadly, thanks to the Mother of Tears fiasco. 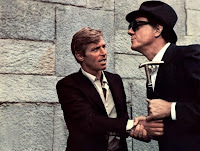 Reporter Carlo Giordani (James Franciscus) investigates the goings on at a lab facility after a failed robbery attempt leaves a guard rattled. 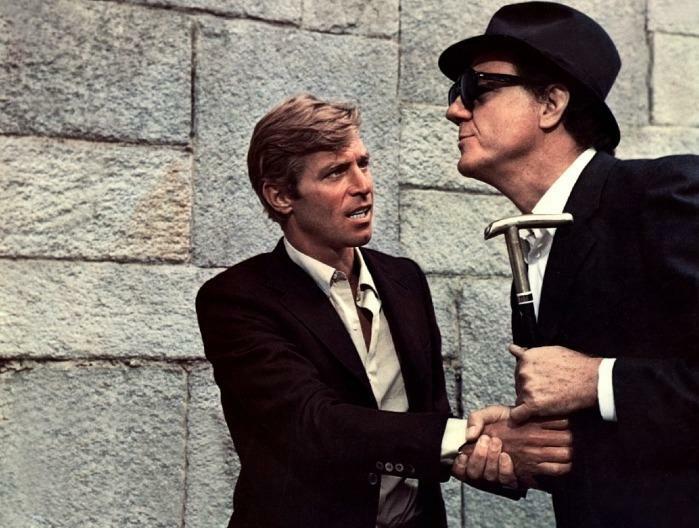 He enlists the help of Franco Arno (Karl Malden) - a blind ex-reporter who happened to spot a car near the facility on the same night. As they get closer to the one they are hunting, they become the hunted themselves. Franciscus and Malden are fantastic in this. They really sell their characters and work well as the crime sleuths. Other standouts are Rada Rassimov and the odd faced Ugo Fangareggi as the awesome criminal helper Gigi the Loser - really dug that character as well. Where does this film sit in the Animal Trilogy for you? I put it second to BIRD, but above FOUR FLIES, I believe. Check it!